Tent has become a very popular temporary sturcture for different kinds of activities, therefore, church tent will be a very good option. 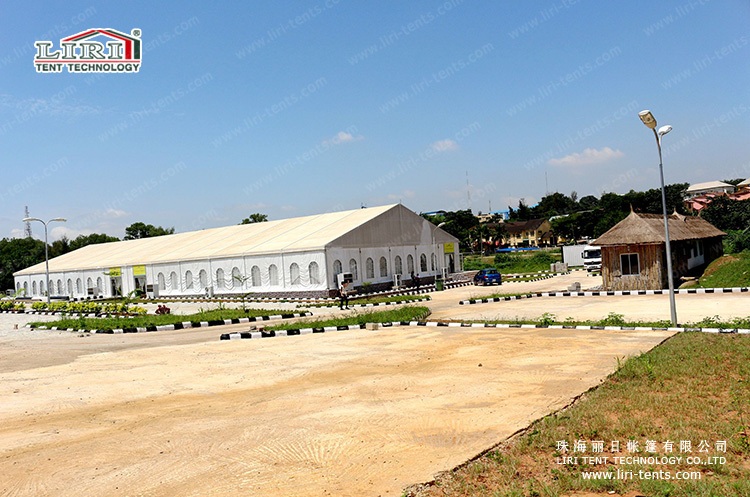 White Marquee Tent for Church are available in clear span width of 10m, 15m, 20m and more, it is not only water proof and fire retardant . All of the big tent with a standard side height of 3.3m. 15x40m White Marquee Tent for Church are a modular design which can be increased or decreased in 5m. 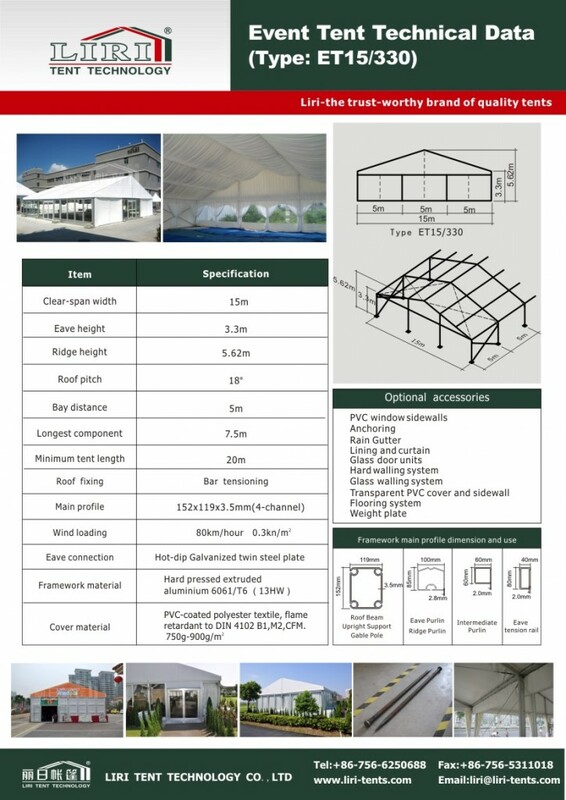 15x40m tent, it can cover about 500 people, this size is a very popular size and very econimical size. The main frameworks (upright support and roof beam) are manufactured with 4 channels in the size of 152x119x3.5mm hard pressed extruded aluminum. The sidewalls and the roof covers are manufactured with 850g/m2 PVC-coated polyester textile and flame retardant to DIN4102 B1, M2. It is easy to assemble and dismantle as well as convenient to store because of its small volume. It has a wind load of 100km/hr. The fabric is available in both block-out and translucent. 15x40m White Marquee Tent for Church are available with a complete range of accessories.